I had previously read the series' prequel novella "The Scionless House" and I extremely enjoyed it! 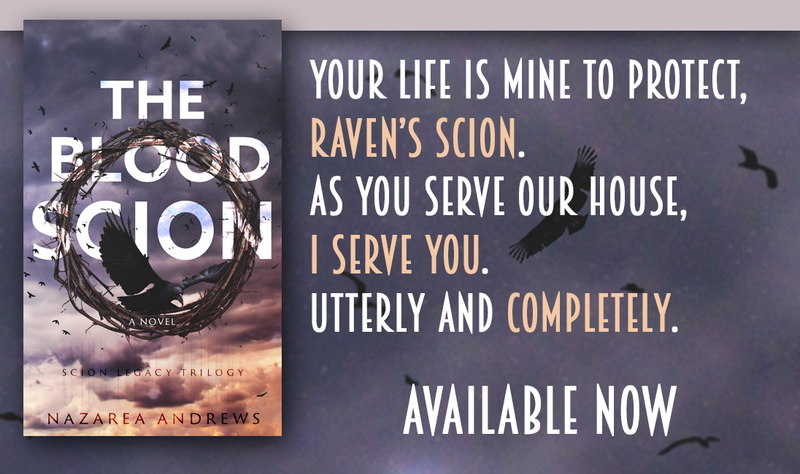 But, I hadn't expected just how much I would love reading the first book in The Scion Legacy series!!! I actually liked everything on this book! The author's writing style, many of the characters and their personalities, the plot, the switch of the point of view between the protagonists in different parts of the book, which helped me get even more into the story and understand why everyone behaved the way they did! As for the plot, in "The Scionless House" Octavian get orders from the Head of his House and his maker, Patroclus, to set off and find a young woman. But not just any young woman! Not much is being revealed right from the start, but from the hints that are cleverly placed by the author, we realize that this woman is going to be very important, to both the story and the main hero. In "The Blood Scion", the protagonists are both Farley and Octavian! Their points of view are both presented, and I have to admit I love them both! Farley is not your typical damsel in distress, waiting for her guardian to come to her rescue. No, quite on the contrary! She is a strong, brave, young woman, willing to give her own fights and rebel against everything and everyone that goes against her opinion. Octavian, a hero I had adored while reading the novella, is the strongest assassin among the vampiric population! He is determined to serve his House and his maker, but to the extent where he agrees with the decisions that are made! Those two characters are not pawns that anyone can use as they will, a fact that I deeply loved about the book! 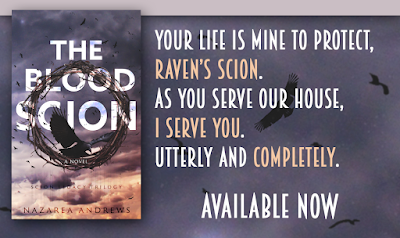 And don't even get me started about the chemistry between the Raven and the new Scion of the House! Purely amazing! only leaves me wanting for more of the story and characters!